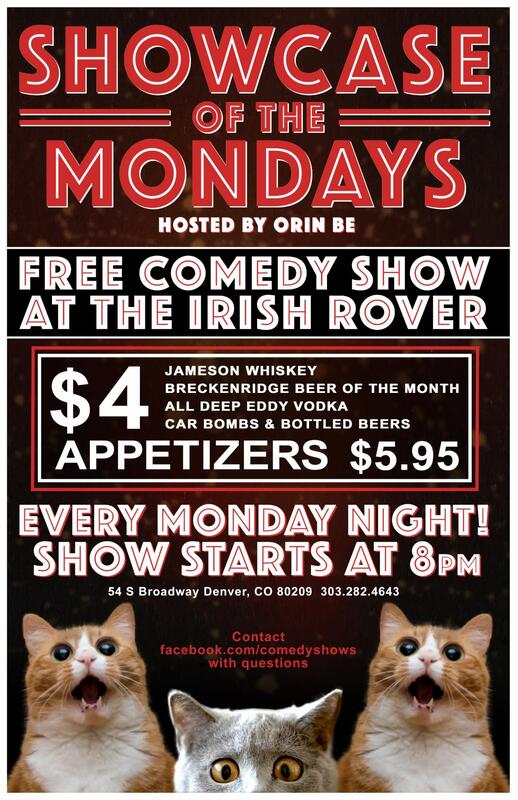 Free Comedy Show with open mic at the Irish Rover Pub Hosted By Orin Be! $4 Jameson, Deep Eddy, Beer Of the Month, and Irish Car Bombs All night!!! Food Specials until 10pm, and some giveaways. Biggest hardest Deck in town. Come Sit on our 2nd story Deck after the show and enjoy the all night happy hour!